WE ARE “BREAKIN” the RULES! For years dancers from around OKC have been looking for a Break Dance class! Well, we’ve got what you’ve been looking for! 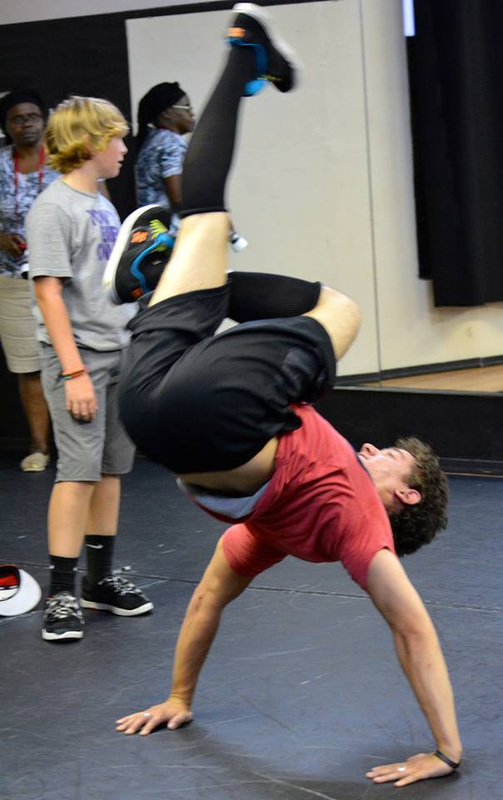 has also toured throughout the USA and Europe break dancing with his crew HYPE. Don’t forget his special appearance in our opening number for “Everything Goes Europe”, the audience went wild!